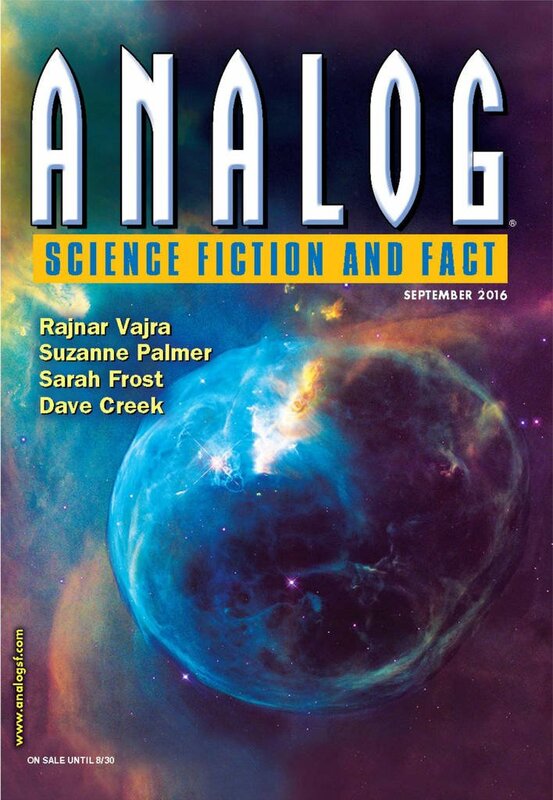 "Deep Waters Call Out To What Is Deeper Still," by Sarah Frost [bio] (edited by Trevor Quachri), appeared in Analog Science Fiction and Fact issue 09|16, published on July 16, 2016 by Penny Publications. Pro: The basic plot idea is a decent one: Pascal must find a way to keep the squid alive and healthy, with a subplot of trying to tell Chian how zie feels. Con: The story has a number of believability issues. There's quite a lot of super-high tech that's there for no obvious reason. E.g force fields. It's hard to believe that the mind link that worked for fish would work at all for squid, and it's hard to buy the idea that the squid just wanted to hear whale songs.